Tough padded mulit-pocketed toolbags complete with a welded P.V.C waterproof base. A wired mouth keeps the bag open in use. 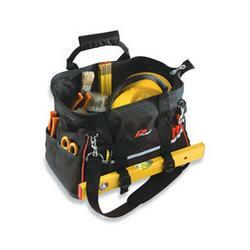 It also has heavy-duty shoulder straps, handles and zips.